There are a lot of craft distillers out there now. We really love some of the interesting and high quality products they’re making. However, we don’t enjoy the micro barreled whiskeys that some of them are producing. We get it, as a small craft producer you don’t have the luxury to take a long time to get a product to market. Unfortunately it would appear that the only way to produce a good aged whiskey is to be patient. Otherwise you often end up with a really woody whiskey that’s not very pleasant to drink on it’s own. Unfortunately, we’ve made a number of impulse purchases of said woody whiskies, since we’re always looking to be supportive of our local distillers. So, now we have those whiskies in the liquor cabinet and we need to use them somehow. What to do? What to do? We decided to experiment to see if we could overcome the woodiness in a mixed drink without just watering it down to the point of uselessness. In doing so, we made the fortuitous discovery that using a really woody whiskey in a whiskey sour masks a lot of the woody notes. 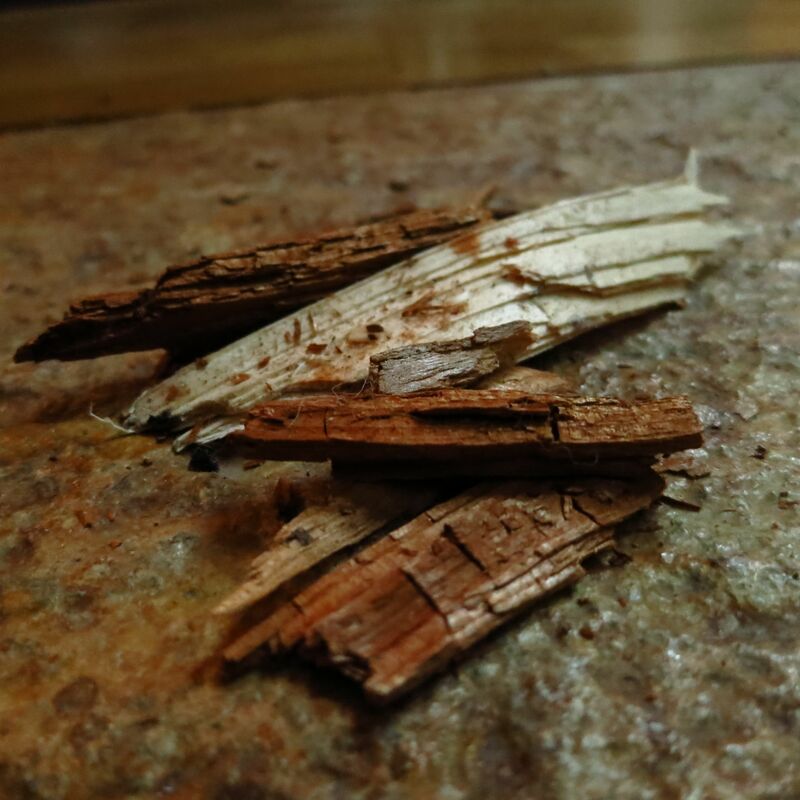 It seems that the sugar and the acid from the citrus work well to bring up the vanilla and sweet oak in the whiskey while dampening the harsher barrel flavors. Just one or the other won’t do, it’s the combination of sweet and sour that seems to work. In fact, we found that just additional sweetness without acid seems to intensify the woodiness. We’re omitting the name of the brand of whiskey we used in these experiments. Our mothers taught us that if you can’t say anything nice, don’t say anything at all 😉 We’d give you tasting notes on the whiskey, but well it just tastes like wood. A whole lot of wood. Imagine chewing on a 2×4. You get the picture. For this recipe, we decided to take advantage of the delicious tart blood oranges that are in season, using Aperol and raspberry liqueur to support their orange-raspberry flavor. Shake all ingredients with ice. Strain into a glass. Garnish with a blood orange peel twist. Enjoy! Nose: Strong orange, raspberry and sweet barrel notes. Palate: Orange, lime and raspberry on the front. Then barrel notes from the whiskey and bitter orange peel. Caramelized orange on the finish along with faint bitterness. Very nicely integrated with just a hint of woodiness. 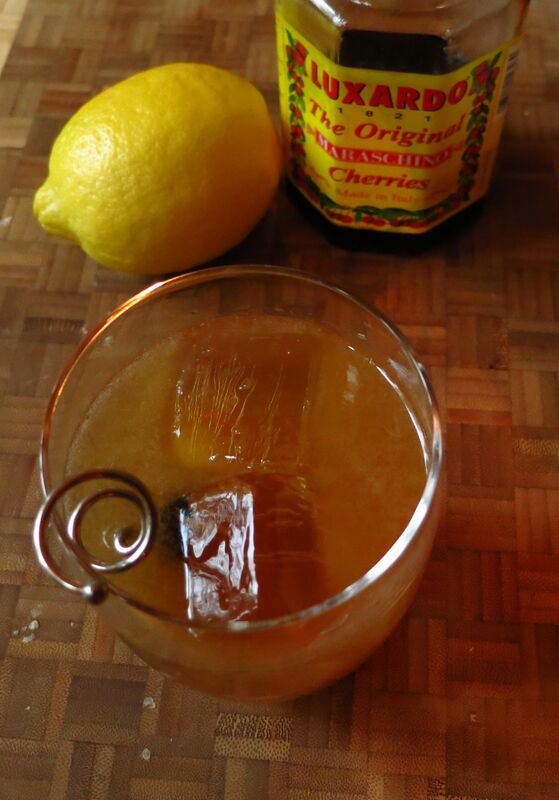 A classic whiskey sour also works quite well to handle this sort of whiskey. Nose: Sweet lemon, vanilla, oak, faint petrol/warm rubber notes. Palate: Sweet lemon to start, then vanilla, oak, and bitter lemon. Bitter, still slightly woody finish. So, if you too have purchased or been gifted with a woody whiskey, we encourage you to try one of these or other strongly sweet/acid drinks to transform them into something a little more palatable. 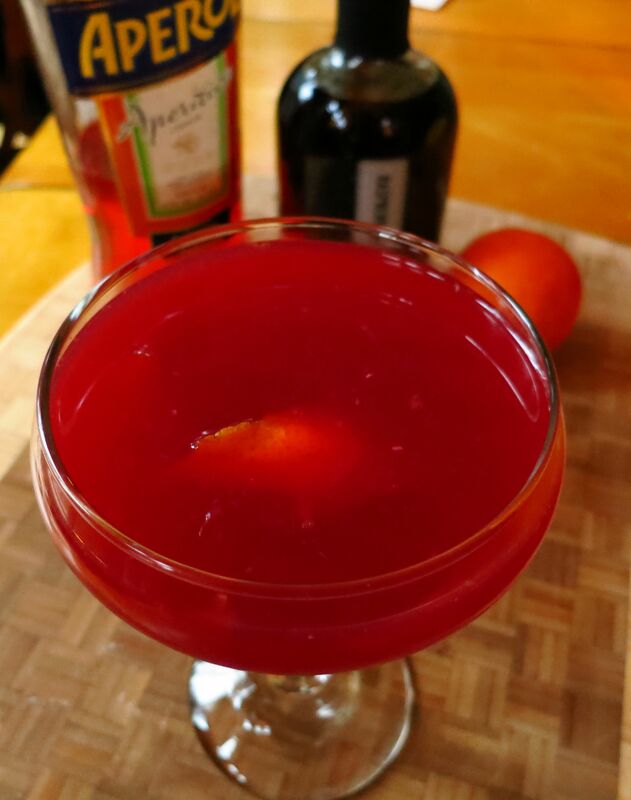 This entry was posted in aperol, Original Cocktail, raspberry liqueur, Tasting Notes, whiskey and tagged Aperol, tallahassee cocktail recipe, woody whiskey. Bookmark the permalink. Great post! You’re correct – it’s a time- and money-intensive thing for a new distillery to do: wait for their whiskey to age. I just read about one that chops up the barrel and forces whiskey through the pieces, but the reviews weren’t great (I won’t say which one, my mom taught me the same thing, but that’s still probably enough info). Many new distillers start with things that don’t require aging, like vodka or gin or even white whiskey, which isn’t a bad way to go. Much better than drowning the country in woody/hot/non-tasty whiskey. You can check out my posts on the subject of craft liquor at http://www.likeyourliquor.com Cheers! I think you’re on to something here…Bright citrus flavors really balance out the dry and astringent bitterness from over-oaked and barrel burdened bourbons…great ideas, thanks! We think it’s actually a combination of the citrus and sugar. 🙂 Thanks. Glad you enjoyed it.